Amy framed this cute turkey that she made from washi tape, but I think it would be cute as part of a DIY table cloth for the kids table on Thanksgiving. 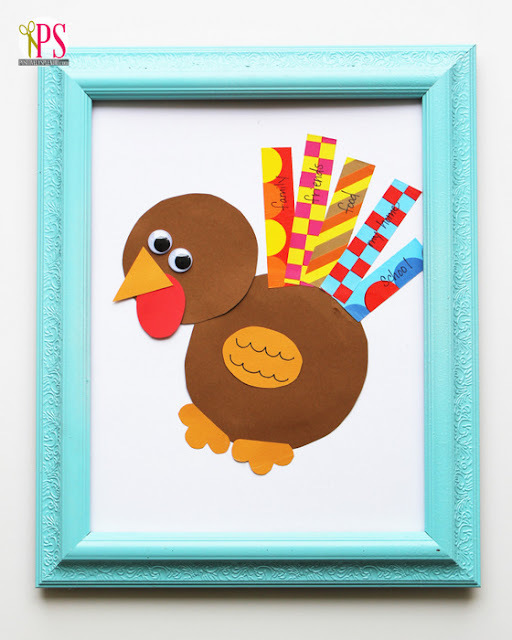 Just make a couple of these cute washi tape turkeys on some butcher paper and you will be all set. Let the kids make them on a piece of construction paper and you have a place mat too! You can check out how to make a washi tape turkey over at Positively Splendid.